Seven Lessons from Small-Town Folk – A Texas Town Love Story. July 10, 1877: How can there be so much blood? John knew what he was seeing wasn’t good. Blood this dark meant something serious; something arterial hit by the bul­let. Heavy twill pants went saturated so quickly they might as well have been made of cheap linen. A shaken, ashen-faced 30 year-old John Hardeman tried to remain calm. He falsely assured his brother all would be well as William Hardeman bled to death in the gravel of a red-dust main street. The ground was so parched William’s life liquid didn’t soak in, it pooled in a warm bubble underneath him. Nowhere to go, it rose and spread, beaded over the grit – light red, then dark to black. Like Texas crude rising from below. Allegedly the shooting was over an unpaid gambling debt. Justice swiftly rendered. For decades the dusty mecca of Luling, Texas (pop. 5,500) has celebrated all that is cold, wet and sweet through its annual watermelon thump. Once coined the “toughest town in Texas,” Luling was initially known as a center-point rest-and-rambunctious stop for cattle drivers along the Chisholm Trail. 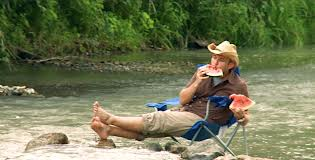 It’s sort of odd it would become associated with anything as sweet and refreshing as ripe watermelon but so it goes in Texas. An acrid odor arises from oil pumps, punches the stillness, (I’m told it’s gas) and irritates the nostrils. The faint aroma of metal grind on metal as the railroad, along with an ear-piercing whistle, rolls through frequently and mixes with the fragrance of barbecue that rises and suspends in smoke-filled gossamer ribbons. 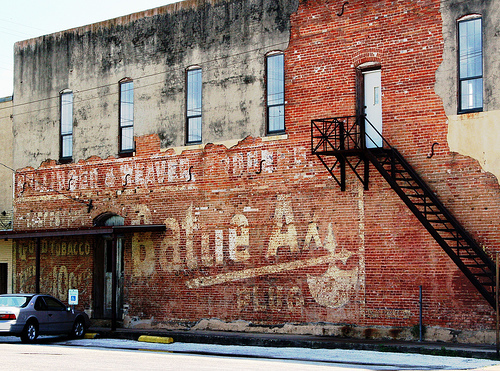 Luling’s era as a hub for heavy commerce and cattle are long gone. Yet warm shadows of the past embrace the inevitable invasion of the present. They cast vigilant shade. Progress is allowable only to a point, never enough to shut out the light of what was. Current residents are far from back woods. There’s a clothesline here and there with large overalls hanging, I’ll give you that. Most dwellings are not much to view. They’re worn from constant heat. Need work. Sun-faded remnants of outdoor plastic toys litter front and back yards. A tattered couch on a porch catches the eye. 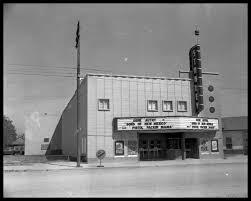 There exist old majestic structures that gleam white and border the center of town beautifully preserved. The history in the walls is nurtured. Artistry lives in the wood, expansive porches, columns that guard grand entrances halls. Ordinary episodes of daily life strain through a time warp – polite words travel along bands of narrow streets within this close-knit town webbed to a rail line. 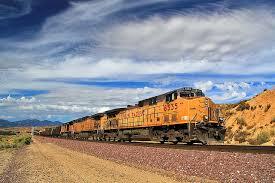 When trains run, a round sound of train whistle sepia tones the sky. Clouds halt above. The current year fades in decade drips. The signs of enlightenment are there for those open enough to accept them. The teachings carry strong on the smell of industry, the local smoked cuisine and in the sweetness of carnival caramel corn. White-hot brick walls and penetrating sunlight can’t stop history from fading. And for this I’m grateful. True: Folks are comfortable with rusted memories of accomplishments long ago although they seem fine to allow the past to co-exist. In fact they relish and celebrate the idea, especially when the thump raises Luling’s map dot even if it’s for only for a few days. Otherwise, not much happens. And I’m being polite. I mean nothing absolutely happens here. Just living and dying in a small town. Naturally, football pride (Friday Night Lights) is strong like most places in Texas. Oil and gas exploration is experiencing a renaissance in this area, too. 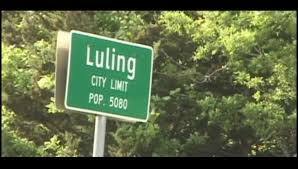 A slight claim to fame was the 2006 movie “The Return,” a horror/supernatural thriller starring Sarah Michelle Gellar who portrayed a young woman haunted by psychic visions of a murder that happened years back in the character’s hometown of, that’s right, Luling. Then there’s the watermelon. Lots of watermelon. Every year, homage is paid to a produce-induced vision of a school principal from way back. Another world in fact: 1954. Carnival festivities and watermelon-themed events like seed spitting (not as gross as it sounds) are bathed in ropes of colorful party lights for four fun-filled days. A warm breeze carries a pungent wave from a teeter-tottering arm of an aged oil pump and bounces it across and through what seems like endless strings of tiny white lights. The lights flicker so much I can’t tell whether watermelon is a fruit or a vegetable in the ebb and flow of reflection. This is a big controversy on the internet by the way. I stick with watermelon as a fruit. I don’t like my vegetables sweet. That’s how I roll. Activities kick off on a Thursday evening with the crowning of “Watermelon Queen,” selected from a small group of junior-high and high-school young ladies. Sponsored by community services and local businesses, the girls, dressed in formal best, gather at an outdoor aged wooden structure called the “pavilion” and sit nervously awaiting the judg­es’ decision. The “fresh-picked” Queen holds the primary responsibility of representing the town at upcoming statewide events and local school and business functions until the next thump and new royalty is crowned. For six consecutive years, my daughter and I have honored the tradition and at the same time, created a strange one of our own by sweltering in the Texas humidity. Partaking with gusto in all that small town hospitality has to offer. For temporary relief at least, watermelon is plentiful. Icy-cold that stings the gums (two slices two dollars). Miles of funnel cake and food specialties are savory high-caloric backups. I’ve visited at least a dozen times (for savory barbeque served on butcher-brown paper at the iconic City Market), and came to know business owners and residents at least on cordial speaking terms. I’m viewed as sort of odd man out and been laughingly called a Yankee a time or two, however hospitality runs strong in these parts and no matter how out of place I appear, I am treated as warmly as a native (after light jabbing). A fascination with Texas history rolled me down Interstate 10. I have remained intrigued as those I encounter manage to survive, even thrive on modest financial resources (a per-capita income of roughly $13,000 a year). I‘ve been a respectful observer. Under the radar. 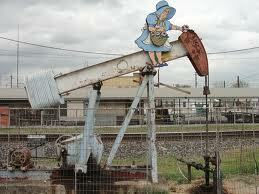 A speck on painted oil pump. My window of observation is usually limited due to the July blast-furnace Texas heat. Surprisingly weather conditions were different this year. 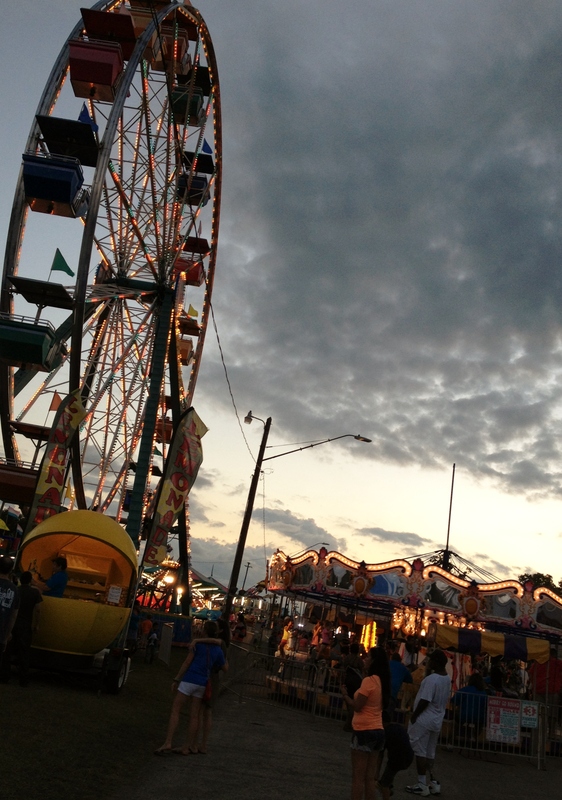 The late afternoon brought with it a front of cooler air which pushed out humidity, broke the heat and exposed a pinkish-blue Technicolor sky against a busy Ferris wheel dripping in colorful carnival lights. Over the years, I’ve compiled notes of the best of lessons from the residents of Luling. “I don’t eat the whole chicken all at once, just a piece at a time.” You can’t make this stuff up! Those who seek immediate satisfaction or look to get rich quick are go­ing to suffer from incredible financial indigestion or worse. Growing wealth isn’t magic – it begins with a financial awareness of cash flow, consistently spending less than household income, managing debt and a saving and/or investment plan for specific life benchmarks like retirement. Many feel the tasks too overwhelming. Why bother? Well, listen to Luling: Take a baby step: If you’re not saving, start. Even if it’s an additional $50 a month to bolster an emergency cash stash. Increase your 401(k) or retirement plan contributions by one percent next week. Apply as much as you can to get credit card bills paid off quickly. Take the action now. Worry about the repercussions on the budget later. Take a step forward. Find a way to make it work. “Don’t owe nothin’ to nobody.” Appears those with smarts in Caldwell County, mostly the “senior folk,” abhor debt. The gentlemen who blurted this insight at me had a mouth full of ribs and a face devoid of several teeth (meat falls right off the bone at City Market). Wisdom happens even if those providing it are all gums. U.S. households are slowly getting their balance sheets in order and that requires reducing debt and work­ing to aggressively increase savings. Be proud of the eventual independence that comes from becoming debt free.cipal, inter­est, taxes and insurance doesn’t exceed 25 percent of gross monthly income. Stan­dard rule of thumb is 28 percent; my advice is to come in below as the rule is antiquated like many of the downtown Luling facades. I have been disciplined enough to follow a “20 percent of gross” mantra. But then I’ve never perceived a house as an investment – just a place to hang the hat. 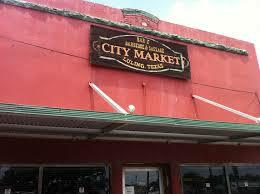 Side note: City Market only takes cash – no credit cards, no checks. You can enjoy melt-in-your-mouth brisket without taking on additional debt. The establishment is eternally smoky and there’s no air conditioning. Spicy sauce makes the experience hotter. Don’t worry. As the sweating kicks in you feel cooler. “You can fool yourself but the pigs’ll still laugh at you.” I needed to think outside the box with this one. Emotion is the greatest enemy of investment and financial suc­cess. Individual investors are constantly plagued by overconfidence (you didn’t beat the market, I’m sorry-you didn’t). You consistently sell low and buy high, hold on to losers too long, sell winners prematurely and create trends in your head where none exist. Understand your limitations and emotional biases and you’ll be much more successful. You’ll deny this at first. Most important with the 200% run-up in markets since March 2009, I’m starting to observe (finally) signs of recency bias among retail investors as they project their most recent stock market experience into the future. In other words, we are growing too comfortable with lofty stock market returns and the unusual absence of corrections and that’s as dangerous as Luling’s Main Street in 1877. Financial life benchmarks are those specific milestones you create, accomplish and check off. They move you ahead, keep you focused and ostensibly bolster your household balance sheet. There’s a point, a law of diminishing returns (or financial wheel-spinning) where you’ll take on more risk and not receive a commensurate amount of return. The problem is a bell doesn’t ring or an alarm doesn’t go off once you approach or breach the danger zone whereby additional risk is not complimentary but greatly detrimental to future results. When you’re focused on beating the market, you will lose sight of the risk and wind up like poor William Hardeman as your net worth bleeds away. FLB helps you understand clearly the returns you require to get to where you want to be – It’s about you, not a market index. It’s your life, your attitude towards money, what’s important to you about having the money to meet lifestyle goals all wrapped together in a functional action plan. It’s your town and the roads are unlike any others. If your current relationship with money or yourself is subpar, it isn’t going to change it­self. Overextending on credit, not saving for retirement or at least forming a strategy, a lack of an emergency cash buffer, using spending as a substitute for happiness, not taking care of your body physically/mentally, failing to continue to learn will burn you to a crisp. Start a personally heated change wave. It doesn’t need to be huge. A habit takes repetition to become second nature. Soon a healthier and wealthier routine will be yours but it doesn’t happen by accident. “Hay is gold.” An unprecedented drought and elongated period of record heat, and hay becomes a valuable commodity in Texas. All of life comes down to supply and demand. Right now there’s a greater supply of you and little demand. Just look inside the unemployment rate or employment numbers. There’s a surplus of labor and lots of slack. It’s a tough reality. The skills you had, or even the career you thrived on have a greater chance of being sour permanently since the Great Recession occurred. That doesn’t mean you don’t possess several core strengths to expand upon. Confidence in your personal skills and abilities has been shaken more than any other time in history outside the Great Depression. Take control. “I’ll take small quality over big a big stack of nothin’.” I admit it. I overheard this one. Yes, everything is bigger in Texas. Texans also respect and appreciate quality and pureness of heart over size. It’s a good time to go smaller. How much you need anyway? Luling is home to an interesting business: Tiny Texas Houses. Each house is made of 99 percent salvaged materials. No structure is bigger than 12’ x 28’ with a loft. How much square footage you need? Get yourself two dogs (they’re loyal), two acres and possibly a person to keep you company once in a while and you’ll be styling. I’ve been preachin’ this two dogs, two-acre sentiment for years because it seems right to me. Feels like true independence. Peace of mind comes from taking in more than you need to meet expenses. I’ve been told that too, in Luling. I’ve seen it. 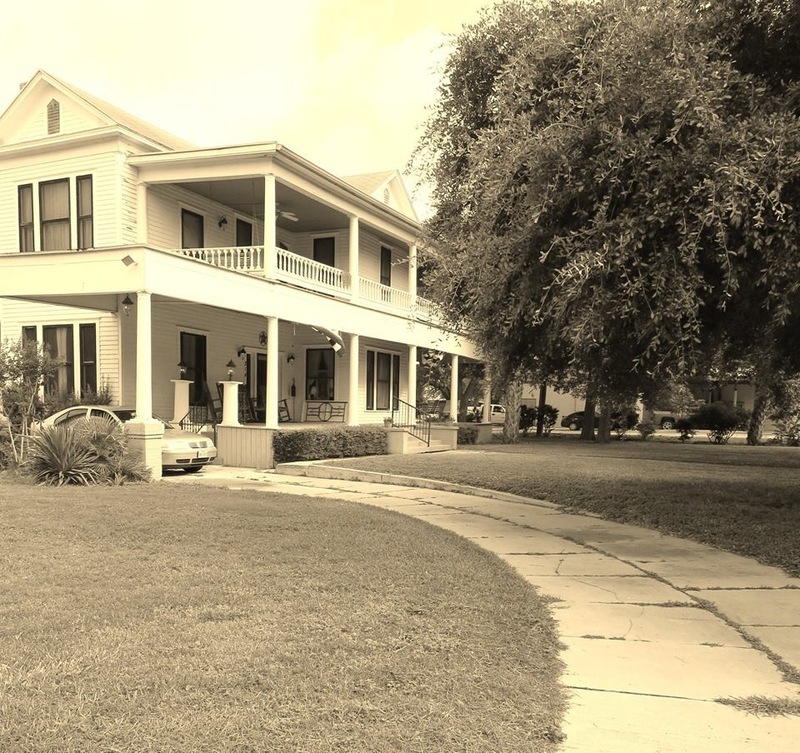 “The past has a place but shouldn’t interfere too much with the present.” The new owners and staff of the Francis-Ainsworth Bed & Breakfast are in the process of restoring the historic structure for a new generation of guests to enjoy. I feel history tap me on the shoulder here. It’s a presence which lightly beckons, lowers its head in deference as I enter, and invites me to never forget to respect what’s come before me. I’m merely passing through. With that I learn how I must deeply preserve those in my inner circle, swiftly cut out negative presences, continue my understanding of the human condition and work to assist, respect my teachers. In August, 1922 another shaken, ashen-faced man watched as black bled into dirt. The flow of the liquid was so strong it cut a trail into sunbaked earth for over a mile. The discovery of oil by Edgar B. Davis changed Luling’s landscape dramatically in 1922. He mortgaged everything he owned and was about to throw in the towel when Rafael Rios #1 became a gusher. Edgar Davis’ creation of the Luling Oil Field promoted rapid growth as the town population grew to 6,000 and 100 new businesses were created by 1928. At its peak, the oil field produced 11,134,000 barrels. One 100 degree-plus day in 2011 as I stood outside of Blake’s Restaurant on Main Street, a hot breeze overtook me. I could barely breathe. With it came the odor from nearby operating oil pump jacks. I crinkled my nose – who wouldn’t? It was another trip. The same trip. But it was different. And the train kept going on through. Knifing through the humidity of what now is past. A Luling Moment: More Big Stories from Small Town Folk. 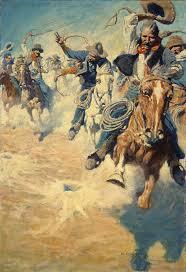 Stories in Texas are as steeped in humidity as they are in history. Recent events, mundane episodes of daily life strain through an unexplained time warp – Shared words age along bands of narrow streets within close-knit towns webbed to rail lines. When trains pass through, the round sound of whistle sepia tones the heated sky. Clouds halt above. The current year fades in decade drips. Internal textures of individual lives have a way of bleeding through to the surface. It’s the inner connections people have with the land and even when there is economic progress, the past has a way of sweating through aging municipal frameworks. In a strange way, it’s comforting to see the past pushing its way through to the present. The signs of enlightenment are there for those open enough to accept them. The teachings carry strong on the acrid smell of industry, the local smoked cuisine and in the hot sweetness of carnival caramel corn. White-hot brick walls and penetrating sunlight can’t stop history from fading, either. And for all of this I’m grateful. The stories, based on blood-rich textures of family ties long gone still travel. 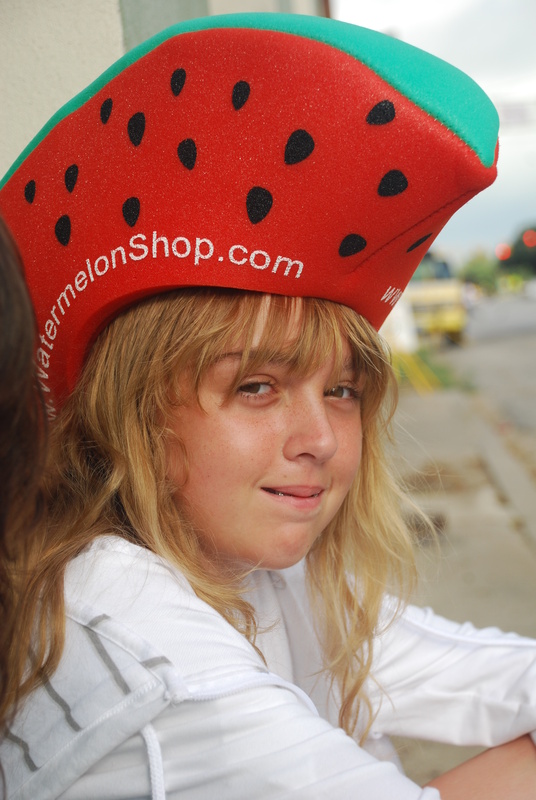 The weather, blazing June in Texas, motivates you to seek icy-cold sweet at the Luling Watermelon Thump. Four sweat-drenched days of food, rides, vendors, iced beer and watermelon-themed events from speed eating to seed spitting for distance. This New York boy is there every year for the amusements and most of all, to learn from surroundings a galaxy apart from what, who made me who I am today. A chance to expand mind horizons, and most important, continue to learn lessons I can carry with me always. This year at 112 degrees in the shade, tiny town was environed by a blazing heat I have never experienced before. Strangely, I welcomed the challenge. Messages are strongly received twirled among the acrid odor of sulfur which permeates Luling, so I knew the conditions, as harsh as they were, were just yet another wake-up call for yours truly. As the country artists played on in a distance, as the heat grew bolder, as I walked a dirt road so hot it felt like ash pellets kicked up with my heels, I stopped to consider the wisdom I was gaining this time ’round. 1). How much heat can you stand before you change? Whether you voluntarily move out of your cool, comfort zone or you’re forced out, how much will you need to burn before you move forward? Standing still in the heat of Luling, feeling myself being baked alive, I understood how quickly one can die while stationary. In place. Your true self, the truth of self can rise when the heat does. It can carry you to places you’ve never been just as long as internally, you can remain cool, take the necessary steps to improve. Oh, you’ll hurt, that’s part of the sacrifice, but eventually you will embrace the fire. In the beginning, the burns felt third degree. As time goes on, I yearn for the heat. I’ve learned to look forward to it. C’mon 112, I can handle you. Old Bill M., outside of Blake’s Restaurant was selling fresh jalapenos from his garden. “Hey son, want to stop sweating? Eat one of these.” I did. It worked. Not sure why. 2). Many threads go deep. 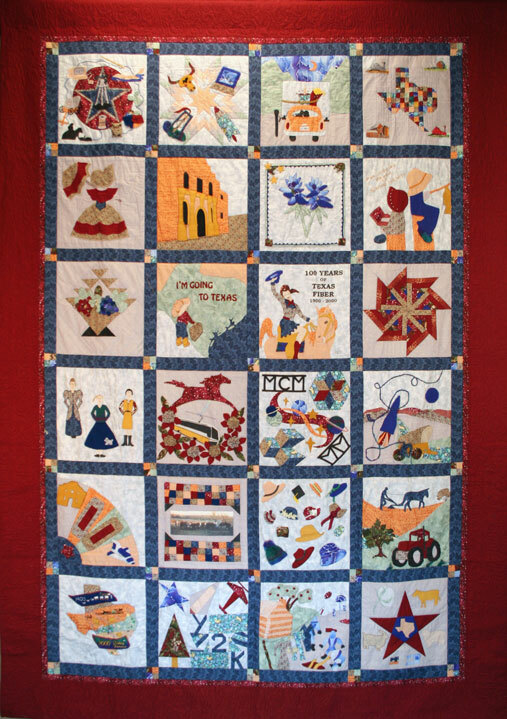 In the front window and inside of the Luling Oil Museum there’s a display of incredible quilts, all of watermelon, Luling and Texas history themes. They are amazing works of art. As I sought air-conditioned shelter at the museum, I stared in wonder at these material arts hung about. Laurie P, donating her time at the front desk looked up at me, said: “The family threads go deeper.” She smiled. I walked away cooler. And with a lesson. As most of my blood family is gone, I began to contemplate who was family. What are the rules, checklists I follow to allow someone in my inner circle? What are yours? Family is so much more than you believe. On occasion, you’ll let the wrong person in, however, that’s a misjudgment on your part, not the person you’ve allowed to penetrate. Without feeling the heat, living the error, you won’t learn or embrace a moment and that’s a mistake. As my dear friend Andrea reminds me consistently: “There are no victims.” I’ve expanded on this sentiment: “All threads are important.” Good or bad, threads expand your quilt. Stepping back, even a bad tapestry possesses a beauty. 3). How white-hot is your ride? It was unfortunate the carnival rides were too unbearable to enjoy this year. They were white-hot to the touch. I wondered how many times in my life I had been on a white-hot ride. How I loved the excitement even though the heat was dangerous. How many investors love white-hot rides with their money as they tend to own investments that have already experienced huge run-ups in price, or still fall for hot stock tips, or attach to stories that lose them money because people love stories and find facts too cold. 4). The old man is gone. 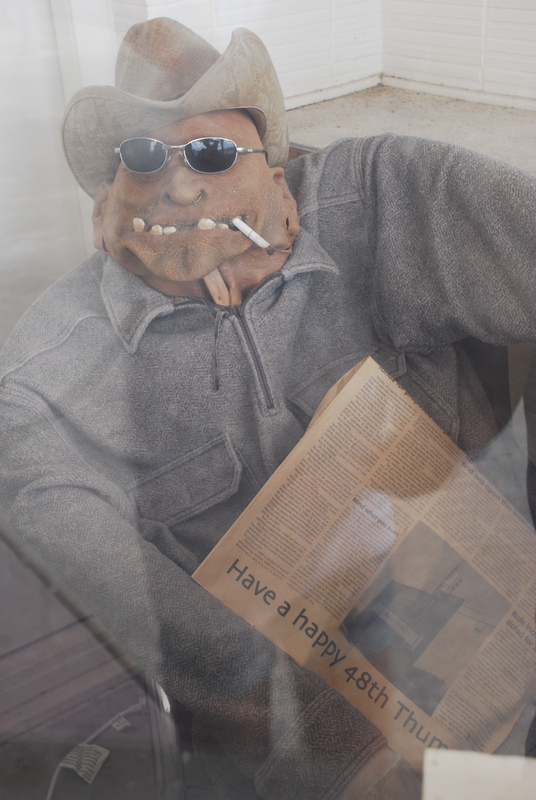 Outside the Luling antique haven (once the town movie theater), was a creepy old man mannequin that sat in the ticket booth. He has been there for years, rotted by the sun. Holding an aged newspaper. I loved seeing him. He was like an anchor. But he was missing this trip. The booth was empty and I hated it. The change really disturbed me. I didn’t want him to “move on” whatever the hell that meant. And I was afraid to ask. I mean, was he thrown away, eaten by rats? What happened? Change can be so incredibly difficult even when the situation we’re in is dangerous to our health and well being. We seek anchors. After awhile, we can’t tell the difference between what is good or bad for us. Until the old man is gone. Maven assured me I’ll love what’s coming to the booth for the next thump. I’ll trust him. Fool myself that change is good. That the familiar can rot you. Cool sunglasses on “Sam” yes? 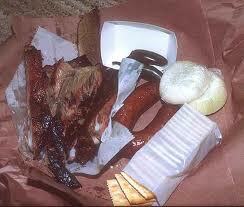 I’m a missin’ you, Luling Sam. 5). Learn to feel. Again. George T. showed me how to find the most perfect, sweetest yellow-fleshed watermelon. Learn to respect, acknowledge, the sound of sweetness in your life. It could be anything. George was so passionate about my watermelon selection, he was willing to give me a lesson for when I made it back to the “big city” as he called it. Appreciate those who share knowledge with you. Realize how sweet lessons can come from anyone, everyone. Thump the resources of those around you. Make sure to share your wisdom with others. Unfortunately, some knowledge isn’t so sweet, but learn it just the same. And the train just kept going on through. Cutting through the humidity of what now is past.